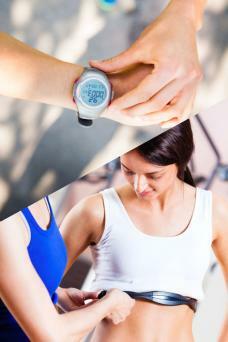 If you're in the market for a heart rate monitor, there are several factors to keep in mind. First, you should decide whether you want it to have a GPS monitor. This one detail will affect the price and give you more data about your workout. However, a GPS monitor will not necessarily make for a better unit. Other features to consider are the amount of memory a monitor can hold, the ease of downloading that memory to a computer, and the ability to use the monitor as an interval timer. If you're not interested in tracking your distance or speed and prefer a much simpler way to track your heart rate, a non-GPS unit will save you money. Many models come with a lot of great features to enhance your training. You will be able to get feedback on your current heart rate, and many models have alerts to tell you when you are in your target heart rate zone. Many monitors will track the calories you burn as well. 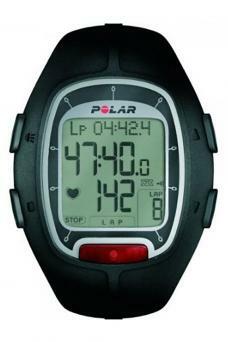 The Polar RS100 has many features, including interval timers, audible beeps for target heart rate zones and a backlight setting. Adding your personal settings to the monitor will give you the best workout feedback, and it can store 100 hours of data. Reviewers like its versatility and durability, saying that although it can be complicated to use, the user manual is straightforward. The Polar FT7 offers different color options for the monitor, making it a fun accessory as well as a solid piece of equipment. The model has a built-in sensor that shows whether you are in fat-burning mode or aerobic mode, making it easier for you to keep track of your fitness goals. You do have to purchase the Polar Link cable in order to download recorded information to your computer. Reviewers say it has a lot of good features at a good price, though some reported that the interval timing feature is difficult to use. GPS on a heart rate monitor, like in a car, tracks your movement on a map. Athletes who want to keep track of their pace and distance during training will find this feature handy. This feature does add cost to a monitor, but you can find good units for less than $200. 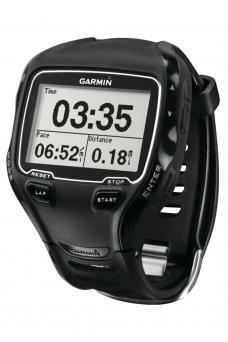 With an almost-$500 price tag, the Garmin Forerunner 910XT is more expensive than other models, but it is a good option for triathlons, as it can be used in the water and even counts strokes. It includes other high-level features and is compatible with other training tools, such as a power meter for the bike, and a body fat composition monitor. Reviewers say it provides accurate feedback and is well worth the investment for the serious runner or triathlete. Enter your personal information, such as weight and age. If you don't already know your maximum heart rate, it would be helpful to do a heart rate test to find out. That will give you more information on the different heart rate zones you should target during your training. Strap the watch unit around your wrist, so it is snug but not too tight. Next, strap the chest strap around your chest. Most chest straps require you to wet the transmitter before it will connect. Put a little water on the side of the transmitter that contacts your skin. Make sure the strap is tight enough that it won't fall down during your workout. It should rest comfortably right in the middle of your chest. For women, the chest strap should rest right below the bra line. Once the wrist unit syncs with the chest transmitter, you'll be ready to go. Your current heart rate will show up in the display on the wrist unit, and depending on your monitor's features, you will be able to see your target heart rate, your heart rate zone, calories burned and a timer for your workout. Following your workout, many monitors will allow you to download the data it recorded onto your computer. 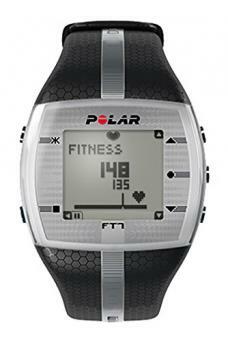 Heart rate monitors will enhance your training by giving you important feedback about the quality of your training. Knowing what heart rate you are in during a workout, and setting target heart rates for specific workouts, will improve your fitness and make you stronger and faster. There are many quality monitors on the market, most of which have enough tracking features to get you a lot of data. Luckily, the more basic monitors are not very expensive and will be a good introduction into training with this piece of equipment. As you become more familiar with the capabilities of heart rate monitors, you can explore higher-end models with even more features.